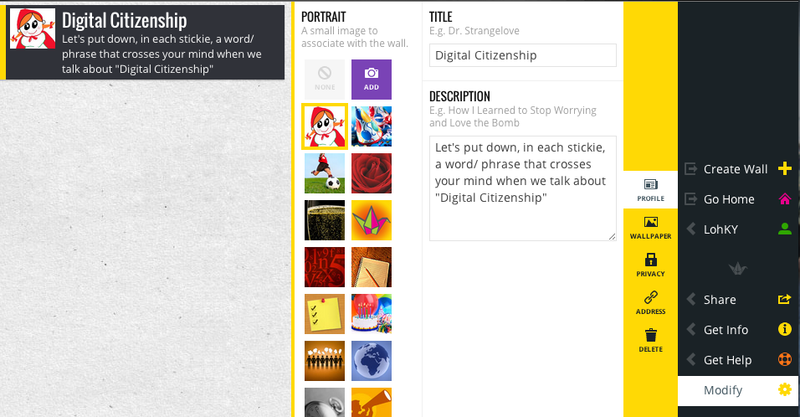 In this session, we are going to explore the use of online stickies. 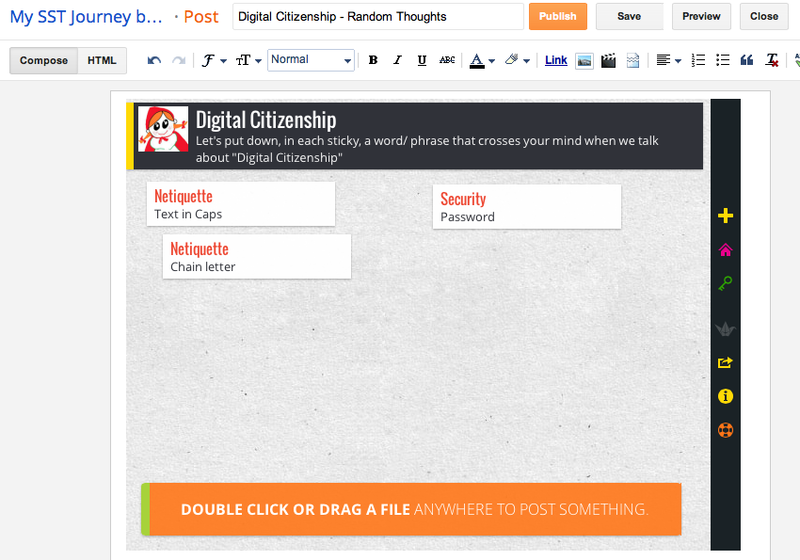 Two commonly used platforms are Padlet (http://padlet.com/) and Linoit (http://en.linoit.com/). Enter the title "Digital Citizenship"
Add the description: Let's put down, in each sticky, word/ phrases that crosses your mind when we talk about "Digital Citizenship"
Choose an image as your portrait icon. Alternatively, you may upload your own image. 2. 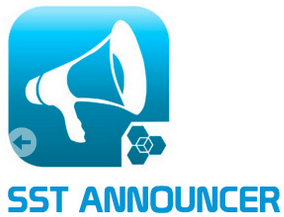 To post on the wall, place the mouse pointer at the space and double click. A sticky will appear. You may start posting your thoughts. Generate as many as you could and attempt to organise them into broad categories (as shown). 3. 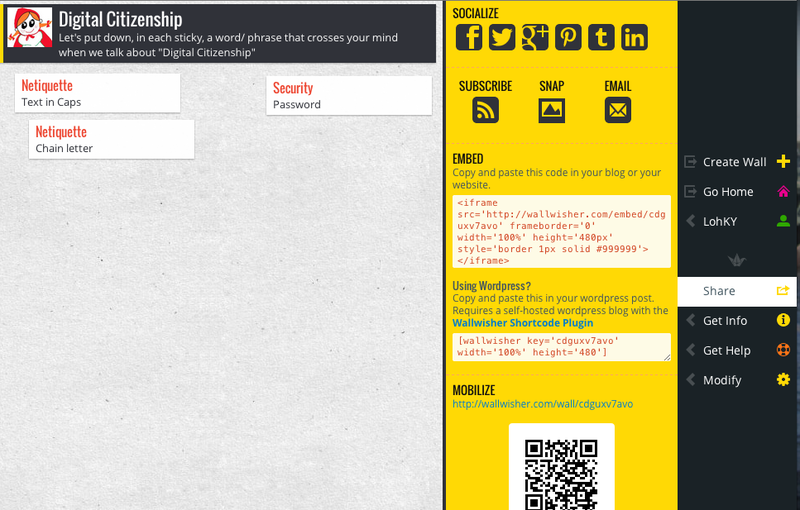 Click at "Share" (on the right) and copy the HTML codes under "EMBED". 4. Login to your blog. Create a new post entitled "Digital Citizenship - Random Thoughts"
Switch the posting mode to "HTML" and paste the HTML codes there. 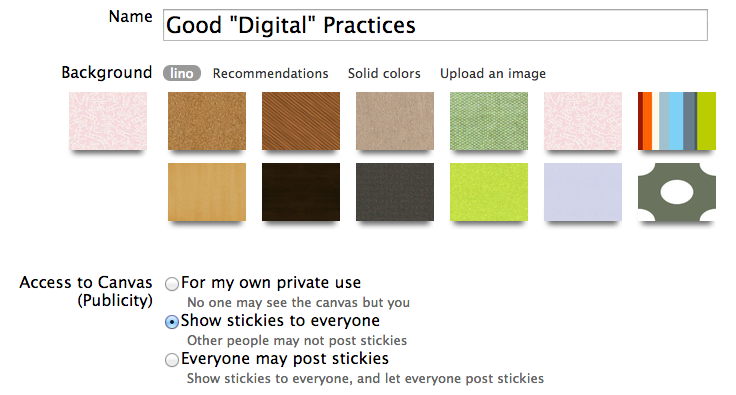 Enter the name "Good "Digital" Practices"
For "Access to Canvas", choose "Show stickies to everyone"
You may change the background colour. 3. Post each idea that cross your mind in a sticky. You may choose stickies of different colours to categorise your thoughts. 4. To copy the HTML codes, click at "i" to display the different options display options. 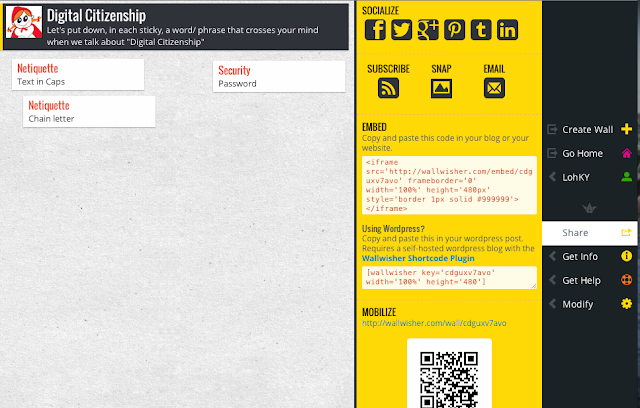 Copy the HTML codes in the third box, "Embed Lino". 5. 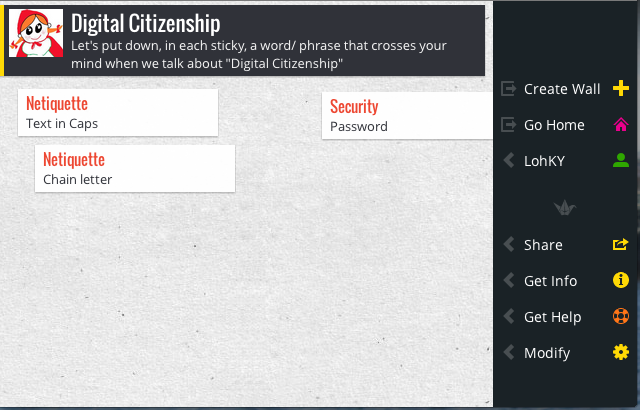 Login to your blog. Create a new post entitled "Good "Digital" Practices"